Press Release - Tropic Air Belize Ltd - November 4, 2014 - On Saturday, November 1, Tropic Air opened a new chapter in its long history of providing new and innovative travel options for Belize when flight 6621 took off from Cancun, Mexico piloted by Belizean pilots, captain Alberto Ancona and co captain Wally Nuñez. The arrival of flight 6621 and its passengers at 8:15pm at the Phillip Goldson International Airport marked the launch of an entirely new venture into scheduled night time operations to and from our country. This flight, on Tuesdays and Saturdays, is in addition to Tropic’s daily Cancun - Belize flight. It will, for the first time, allow same day connections from Europe to Belize via Cancun. This is a travel option that has been long sought by the tourism industry. The flight is being marketed in conjunction with Germany's Condor Airlines, a Thomas Cook affiliate. The flight's schedule allows for connections to Condor's flights to and from Frankfurt, Munich, London and Manchester in Cancun, and opens up other convenient travel opportunities to our passengers. In addition to Condor and Thomas Cook, it is now possible to connect from other airlines such as British Airways, Virgin Atlantic, Iberia, Air France, Aerolineas Argentinas, LAN, Aeromexico, Air Canada and Westjet. Passengers arriving in Belize City on this new flight will have onward connections to San Pedro, Ambergris Caye available on those service days. Tropic Air wishes to acknowledge the help of the Belize Airport Concession Company (BACC), The Ministry of Tourism and Civil Aviation, Department of Immigration and Customs, and the Belize Tourism Board for making this new service possible. 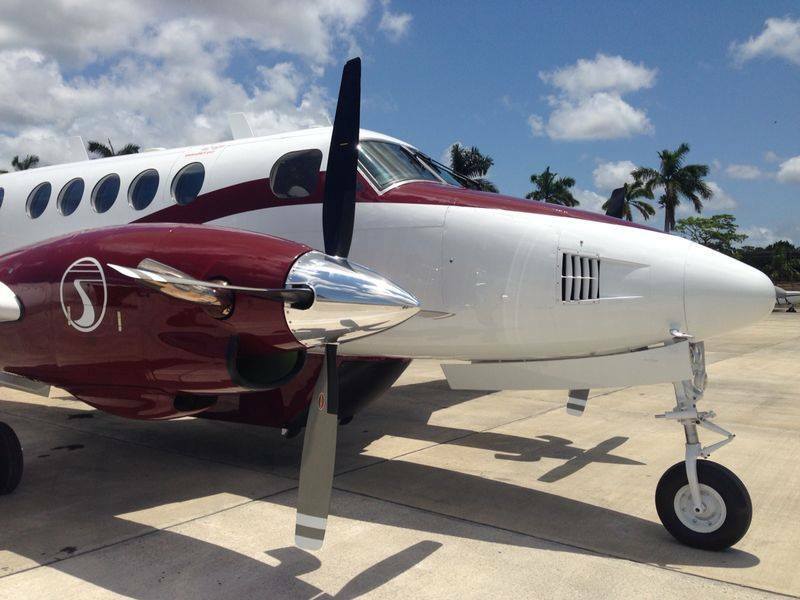 Tropic Air currently operates a fleet of 15 aircraft to 16 destinations in Belize, Guatemala, Honduras and Mexico. With over 290 employees, Tropic Air will carry over 300,000 passengers in 2014.